Poo poo, Junior's day is almost over! Junior has had a lot of fun today and did a whole big lot. Now Junior is in the train back to Eindhoven, and then later Junior can see Seth as welL! Junior also wants to have Spore but Junior has to wait a few more months. Junior is really happy that Junior got to play Spore for so long, much longer than planned at first. That's why Junior says thank you to aunt Anita from EA and also to uncle Thomas from EA and all the other people from EA who were there to get Junior to Spore and to feed Junior! Junior really liked everything and thought everything was yummy! Junior will go to bed soon, so Junior will not moblog again. Not now. Maybe again next time, when Junior goes on a trip again. Junior says goodbye! 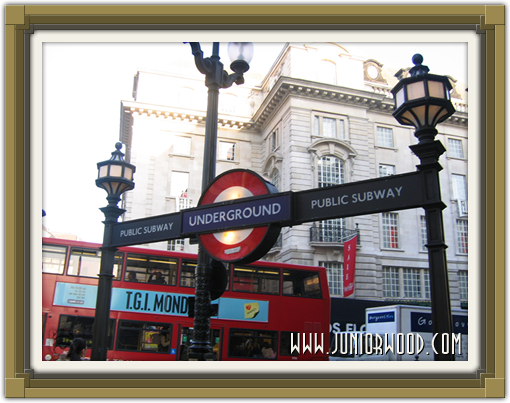 Junior doesn't have much time, because the train will leave soon. Junior has slept all the way in the plane! Which was almost 2 hours late, because the airplane driver and the other airplane people weren't at the airplane yet! They were late because of the fog this morning on the airport. 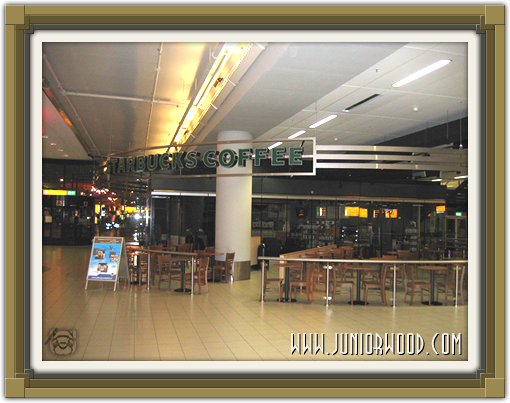 But Junior is now back at Schiphol, and had some yummy Hazelnut Hot Chocolate from Starbucks. Junior now has to wait for the train to Utrecht, then Eindhoven, then home. Junior will nap again because Junior is really tired though. Junior will be back later though! Phew, Junior is really tired! 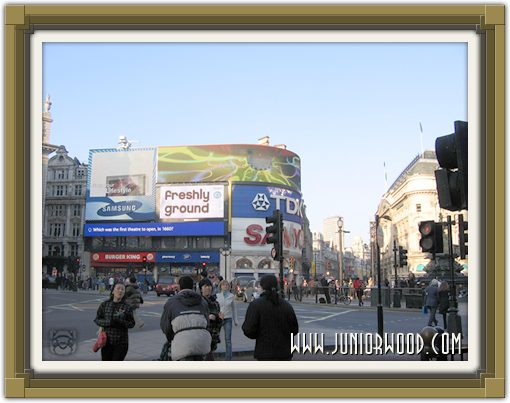 Junior had to walk really fast to be back on the train in time, but Junior has seen a little bit of London now! We were just in time at the airport, but we can't board the plane yet! Aunt Anita is back as well, she'll fly back to Amsterdam with us. Junior is going to get something nice to drink and buy a small souvenir for Seth. Because Junior misses Seth really much and Junior really wants to give Seth something. Ewwoooo! Junior has experienced a lot already. After the Starbucks we were picked up by a taxi and driven to EA really fast. There we had to wait a while, because the computers still had to be set up. But then the time had come, Junior could walk up the big stairs to a small office where Spore was ready for Junior! First uncle Thomas [Vu - male secretary] showed the game for a bit. He told about Sporepedia and how fansites like those of the secretaries can show their critters. You can also use Sporepedia and Sporecasts to find critters and other things and put them in the game. There are veeeery many editors. You can create your creature, but also buildings and UFOs! Junior can't make planets though, because Maxis things that's too hard, just like all kinds of little parts for on your creature and stuff. Starbucks!!! Yep, they've got that in England too, and that's where we are resting from the long flight. Junior has now also met Anita from EA and Teun from Spore-Net.com as well, and drank a nice frappuccino (chocolate and strawbettery!) and ate a muffin and a little cake. Junior thinks England is dangerous though! Everybody drives on the wrong side of the road! We'll take a taxi to EA, and Junior hopes that'll go well, and that we'll drive forward and not backwards. Junior has never gone back in time this much! Junior feels very privileged that he can see Spore again, and is really excited! Junior has been sitting here at the Starbucks at Heathrow for a while now already, and we don't have to be at EA until 11 English time, and it's only a half hour drive. At first we'd get only half an hour to see Spore, but now we may even get 90 minutes to see and play Spore! Junior is feeling even more privileged! Junior will be back when we're at EA England, maybe just before or after playing Spore. Until goodemorgels! Aaaah, Junior is back again! 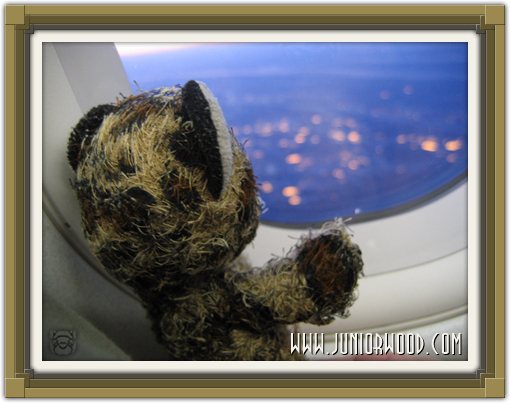 Junior is already on the plane to London, high above the ground. It's still dark out so the lights of Amsterdam and other villages and cities are really pretty. We're now flying above water, and when we land in about an hour we're already in England. 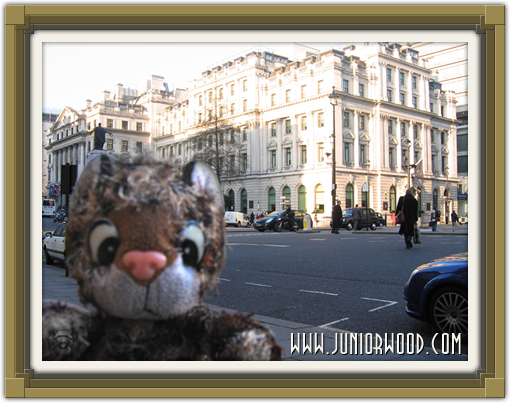 It's not as far as flying home [San Francisco - male secretary], so Junior can't sleep anymore. Still, Junior is really excited. Junior is getting a bun and something to drink from the people on the plane, so Junior is going to fret! Later! 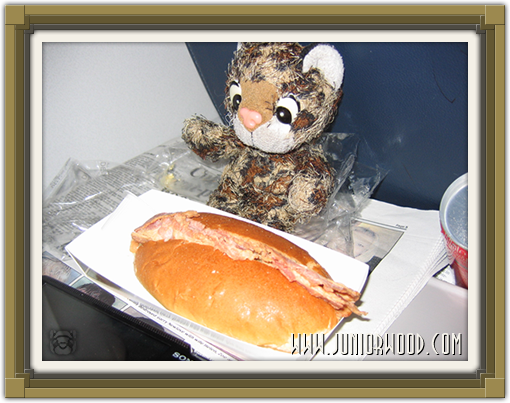 Junior thinks the airplane food is pretty good! Goodmolnig! Junior is still a little *yaaawwn*. Where was Junior? Oh, yeah, Schiphol! Because Junior got up reaaaally early tonight, because Junior is going to travel again! Today Junior will go spore, because today at Electronic Arts in England Junior will see and hopefully also play Spore. 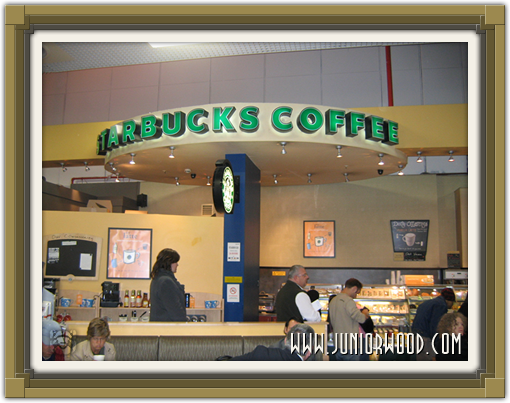 Junior is now enjoying a nice bite at the Juggle Sandwich Bar with the secretaries, because Starbucks doesn't open until 7. Junior thinks that's too bad, but tonight, when Junior gets back, Junior will get a frappuccino! But Junior will now eat and drink the rest of the hot chocolate with whipped cream, later!